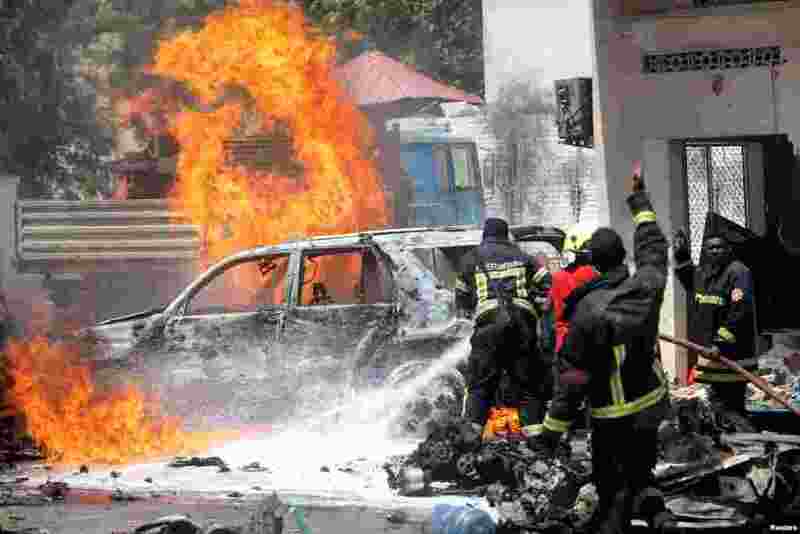 1 Somali firemen try to extinguish burning cars at the scene of a car bomb attack in front of a restaurant in Mogadishu. 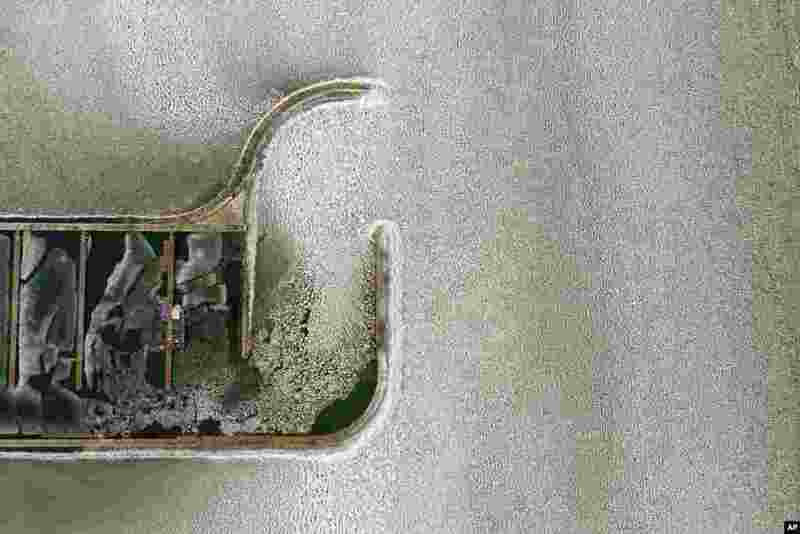 2 The yacht pier is enclosed with the icy water of Lake Balaton in Balatonfenyves, 155 kilometers (96 miles) southwest of Budapest, Hungary. 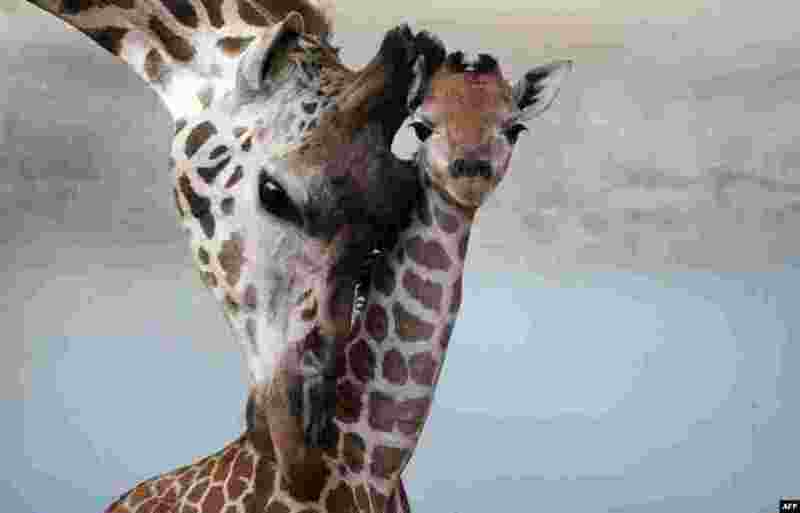 3 Five-day-old Rothschild giraffe is seen with her mother at the zoo in Prague, Czech Republic. 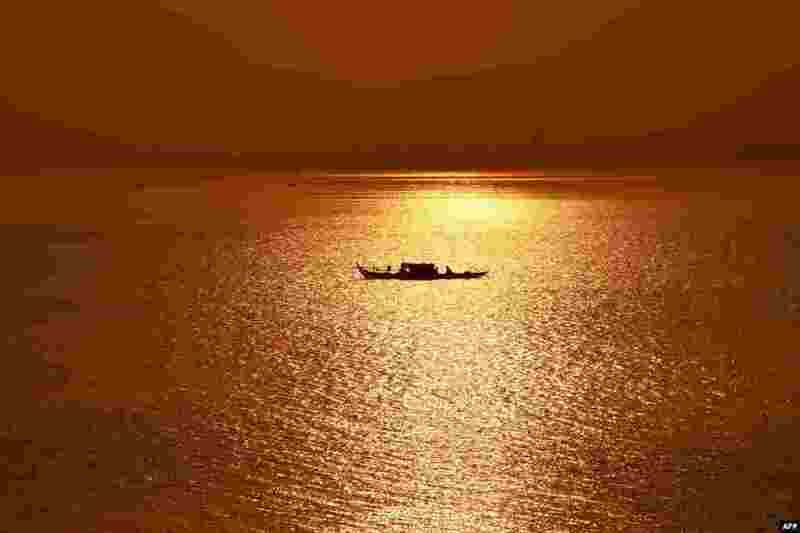 4 A fishing boat travels along the Mekong River as the sun rises over Phnom Penh, Cambodia.